Tonsils are located on the left and right sides of your palate (palatine tonsils) at the back of the throat (oropharynx). The tonsil on the posterior base of your tongue is the lingual (tongue) tonsil. The palatine tonsils are also called faucial tonsils because they are located in an area with muscle and mucosal folds in front and in back of the tonsil called the palatoglossus muscle anteriorly and the palatopharyngeus and superior constrictor muscles posteriorly and laterally. 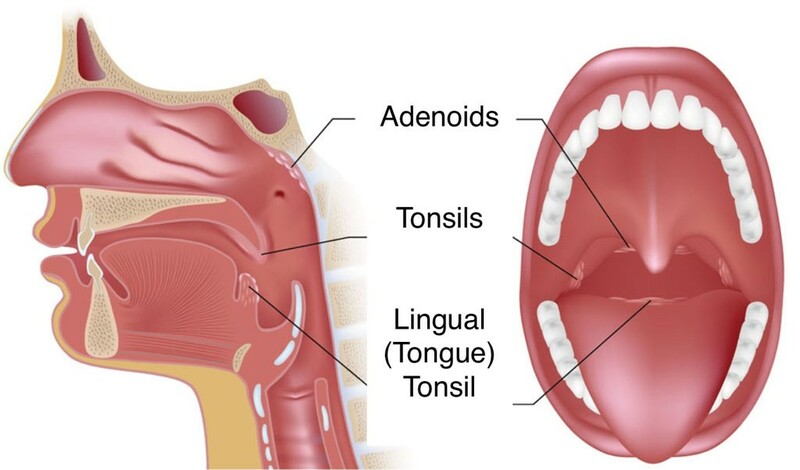 Tonsils are lymphoid tissues located at the entrance to the upper respiratory and gastrointestinal tracts to protect the body from the entry of germs. Enlarged tonsils are a common finding, but in and of themselves do not necessitate surgery. Most often, enlarged tonsils are innocent and are enlarged for uncertain reasons. However, when tonsils become large enough to cause obstructed airflow in the form of snoring and obstructive sleep apnea, a tonsillectomy is often considered. Just because tonsils are large does not make them more prone to infections or tonsillitis. A tonsillectomy for repetitive tonsil infections is performed regardless of the size of the tonsils, if indicated based on the frequency and severity of infections. Markedly enlarged tonsils that might be contributing to chronic mouth breathing and dental issues are sometimes removed, bringing about an improvement in these conditions. The tonsils are oval-shaped tissue masses on either side of the throat. They are part of the body's immune system to help fight infection. Enlarged tonsils are a common finding and do not make them more prone to infections or tonsillitis, nor do they necessitate surgery, unless the tonsils are causing more harm than good. Tonsils may become enlarged or inflamed due to virus or bacterial infection, or other uncertain reasons. 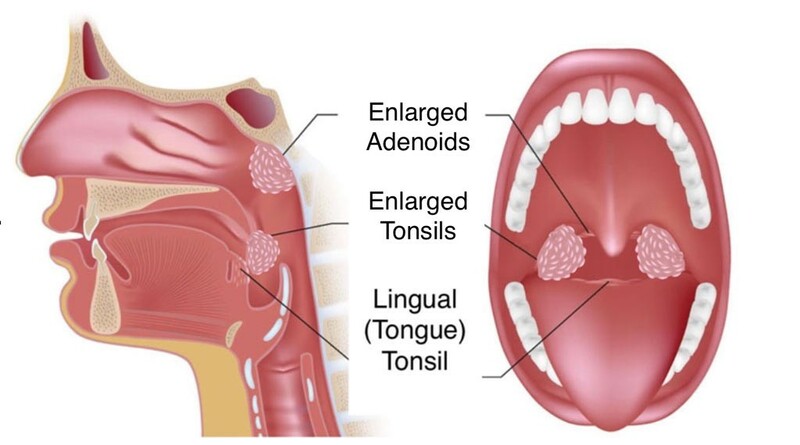 Surgery for enlarged tonsils is considered when tonsils become large enough to cause obstructed airflow (obstructive sleep apnea), chronic mouth breathing or dental issues, or the frequency and severity of infections. Tonsillitis commonly affects preschool children through mid-teens, although it can occur in adults. Infections not responding to treatment or if they are occurring frequently (at least five occurrences per year in consecutive years) are considered chronic. Surgery is only considered when the bacterial infection does not respond to treatment. Viral infections of the tonsils, occurring at any age, are the most common causes of tonsillitis. The most common bacterial infection is caused by streptococcus (strep) with children being most at risk because of their frequent exposure to germs. 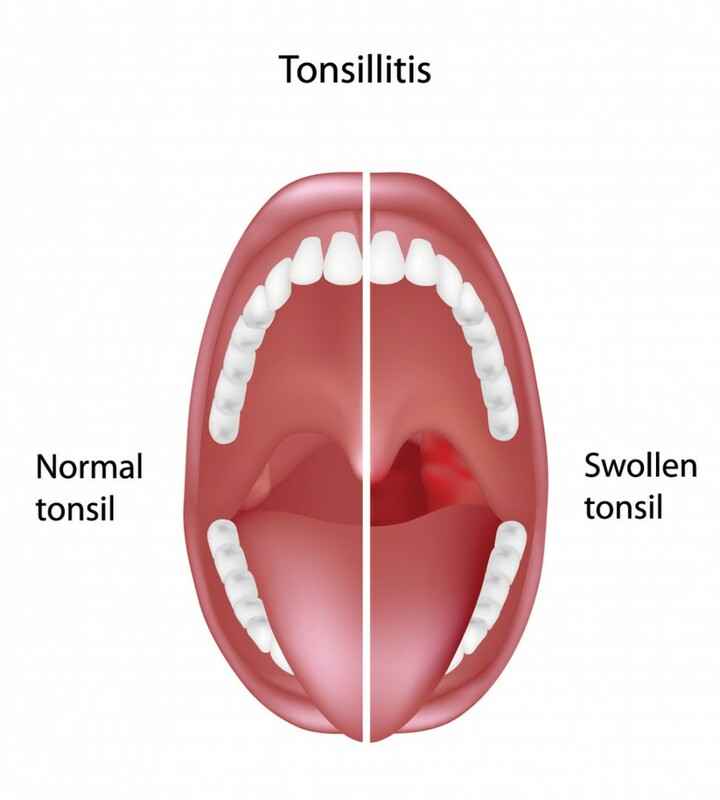 Acute Tonsillitis: A diagnosis of acute tonsillitis is when bacteria or a virus causes tonsils to swell and become infected. Patients generally have a sore throat and a grayish-yellow coating (exudate) may cover the tonsils. 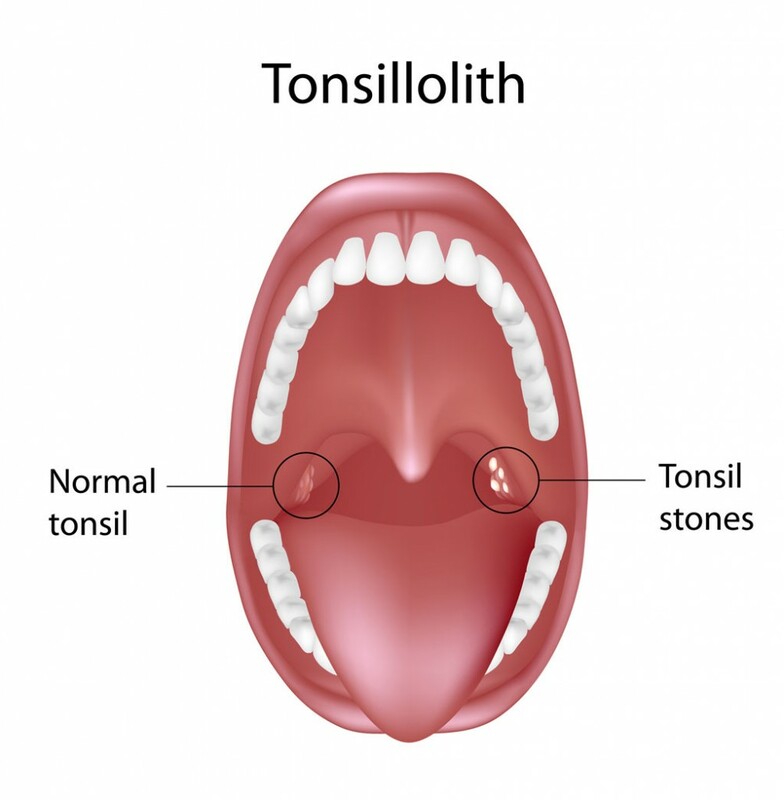 Chronic Tonsillitis: Repeated episodes or persistent infections of the tonsils, that do not respond to antibiotic treatment, are considered chronic. Peritonsillar Abscess: A peritonsillar abscess is a pocket of pus on or next to the tonsil, created by the infection. When an abscess occurs, it must be drained immediately. Bacterial and viral infections can be made more comfortable with in-home care. If antibiotics have been prescribed, follow all directions and finish all medication. Rest will speed recovery in the first few days after surgery. Avoid heavy activity for about 14 days. Children typically return to school once they are pain-free. Tonsillithiasis is a common condition, which occasionally brings about confusion in both patients and primary care providers. Tonsilliths are whitish collections of debris that develop within the tonsil crypts. 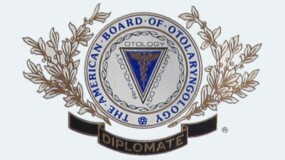 All tonsils have tonsil crypts, and most have tonsilliths that develop from time to time, and usually spontaneously exit the crypt without being noticed by the patient. Occasionally, these collections of debris become stuck, and enlarge considerably. When this occurs, patients occasionally complain of throat discomfort and bad breath. Patients occasionally attempt to remove these by vigorously manipulating their tonsils with their fingers, or other foreign objects. This manipulation occasionally results in bleeding and trauma, with a resultant severe sore throat, or even a tonsil infection. It is important to note that tonsillithiasis does not lead to tonsil infections, unless the tonsils are manipulated by the patient. 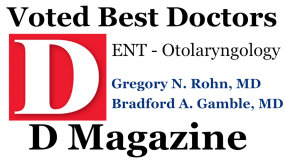 A tonsillectomy is curative, but most often not necessary once the patient is reassured about the benign nature of this condition. Recovery: Recovery from anesthesia is usually about 2 hours. Nausea/vomiting occur in about 10% of patients the day of surgery. If this persists, call the office for a prescription anti-nausea medication. Adults may NOT drive home from the surgery facility. Diet: Fluid intake/hydration is the most important requirement following T&A. Any liquid is fine, any temperature, just drink to the point of urinating about every 2-4 hours, with clear pale yellow urine. There is a vast difference in what liquids and foods patients prefer, but there are no dietary restrictions after T&A. Activity: Activity may be increased as tolerated, with a return to school after normal eating and drinking resume, narcotic pain medication is no longer required, and sleep quality is good. Avoid contact sports and coached athletics for 2 weeks following surgery; avoid heavy exertion in adults. Adults may not drive while they are taking narcotic medication. Travel away from a medical facility is not recommended for two weeks following surgery. Pain: Expect a sore throat and, in some cases, ear pain. The pain level varies immensely between patients. A spike in pain around day 5-7 is not uncommon. Use medication(s) as directed. If you have any questions about your pain, or difficulty controlling it, please call the office. Fever: Variable, but expected as a response to healing. Call if fever is > 102. Snoring: Snoring may occur or persist for up to 14 days following T&A. 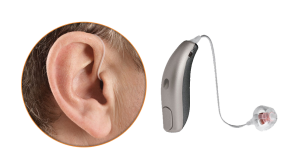 Also, a temporary change in voice can occur due to resonance in the throat. This will resolve with time. Eschar or “Scabs” : The tonsil area heals by forming eschar or “scabs”. This is whitish-gray in appearance. The uvula is often swollen. The tongue can be swollen, numb, or irritated for a few days. The tonsil areas will be pink when fully healed. Bad Breath: Occurs in most children for 1-2 weeks after surgery. This will resolve. Bleeding: It is not uncommon to have a little bit of bloody saliva or mucus on the day of the surgery. Please call if you have any frank bleeding from the mouth that can take the form of spitting blood, coughing blood, or throwing up blood. Call your surgeon if you have any bleeding, day or night. Medications: Pain medication(s) as per your surgeon’s instructions. Commonly used medications include acetaminophen, ibuprofen, and prescription acetaminophen/hydrocodone. Antibiotic if prescribed by your surgeon. Follow-up appointment: A routine follow-up visit is usually made for about 2 weeks after surgery. This appointment is usually made when the surgery is scheduled.